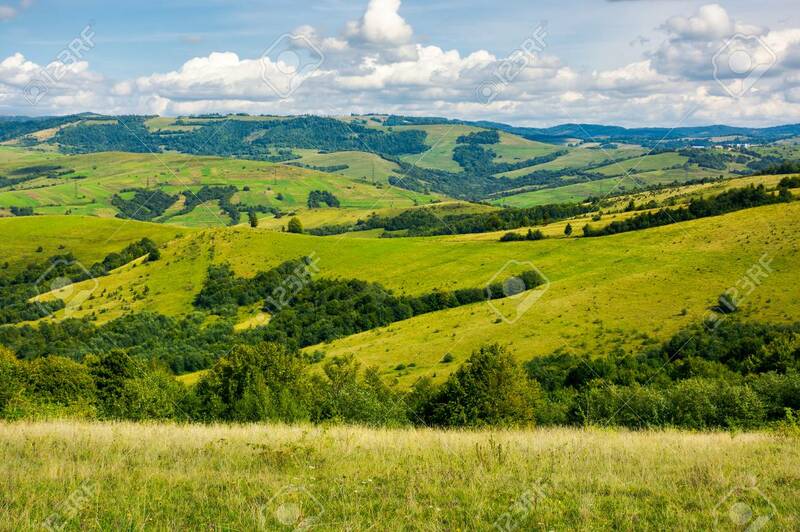 Grassy Meadows And Forested Hill. Lovely Countryside In Autumn Stock Photo, Picture And Royalty Free Image. Image 107011644.